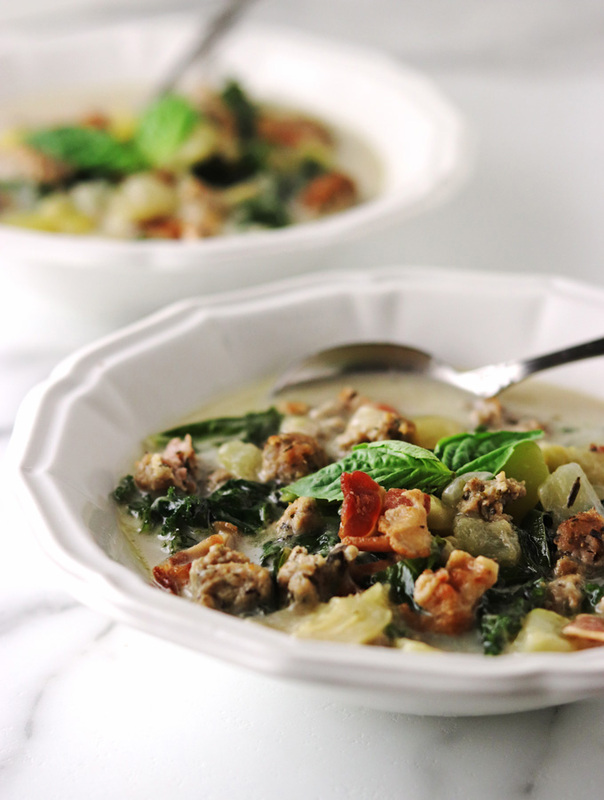 At the sound of the words “Zuppa Toscana”, you might immediately think of Italy or the Olive Garden restaurant. Surprisingly, I had only been to the Italian food chain once before transitioning to a paleo lifestyle. Of course, I ordered the Zuppa Toscana with the endless salad and breadsticks. I discovered that the soup was absolutely amazing and I immediately fell in love with it. At that time, it seemed so healthy and hearty with its nutritious chopped kale and potatoes. 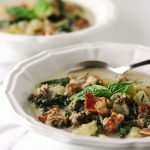 My creamy version of Zucchini Basil Zuppa Toscana soup is nutritionally dense with immense flavor. 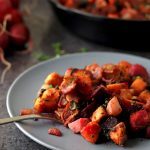 The recipe incorporates diced zucchini, a nightshade free replacement, instead of the high carb potatoes. 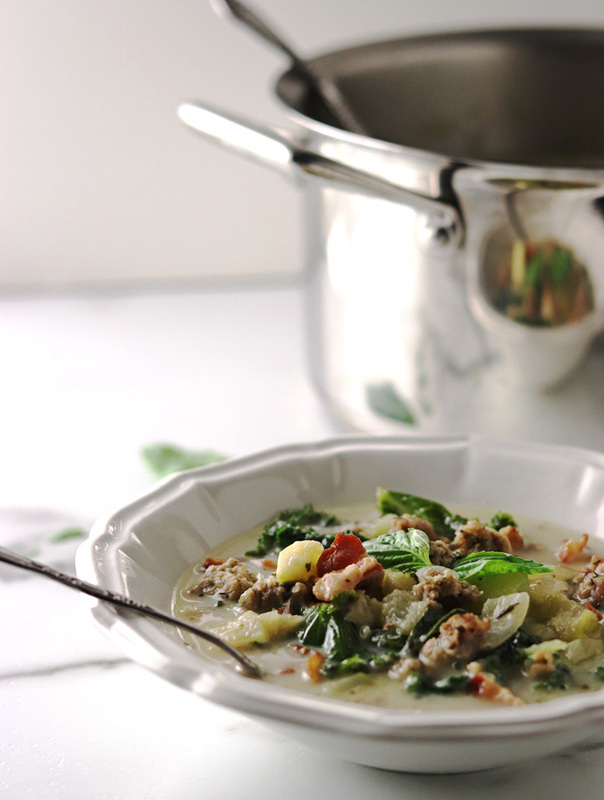 Fresh chopped basil, blended with kale, not only creates an amazing aroma, but also a delicious and appetizing entree. 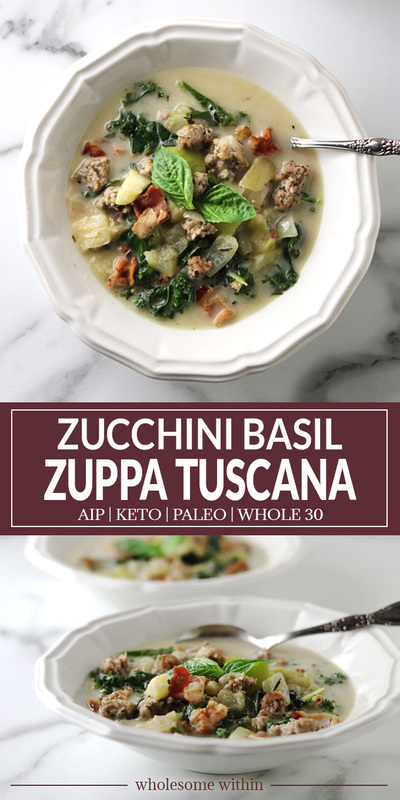 This Zucchini Basil Zuppa Toscana is my number one soup to savor on a cold, wintry day. I am sure it will become one of your absolute favorites as well! 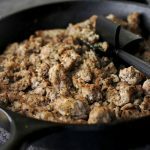 In medium pot over medium/high heat, add seasoned Italian sausage. Brown and cook throughly. Drain, remove sausage and set aside. Cook bacon pieces in the same pan over medium heat until crisp. Remove bacon and set aside. Keep bacon fat in pan and stir in the onions and garlic; Cook until onions are soft and translucent, approximately 5 minutes. Pour the chicken bone broth into the pot with the onions and garlic. Bring to a boil over high heat. Add the diced zucchini, and cook for an additional 5 minutes. 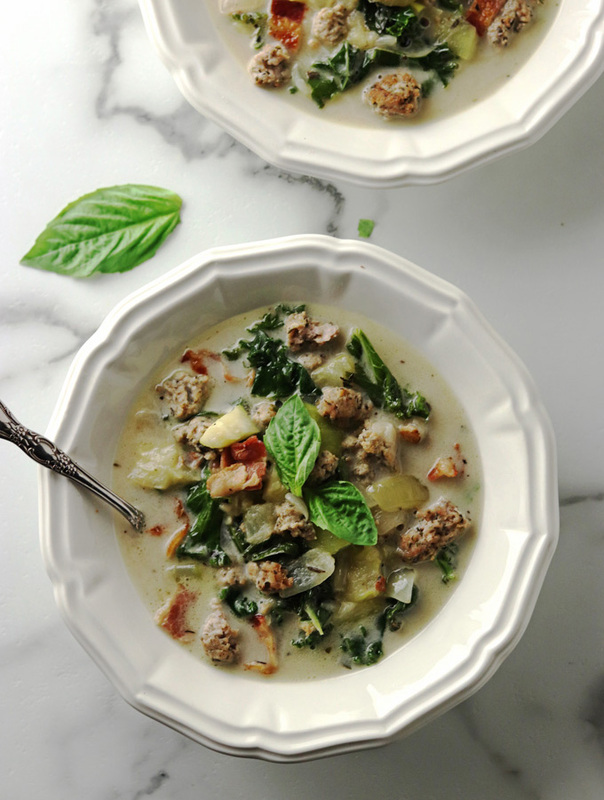 Reduce to medium heat and stir in coconut milk and sausage; heat throughly. Add chopped bacon, kale, and basil just before serving. 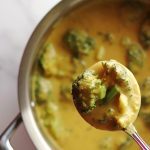 Cook until kale is softened and bright green in color. 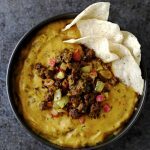 This soup is amazing! I make all the time and freeze for wo4k lunches.